Repair Corrupt SharePoint database to recover inaccessible data. Recover the Complete items of SharePoint Server such as Triggers, Functions, Rules etc. 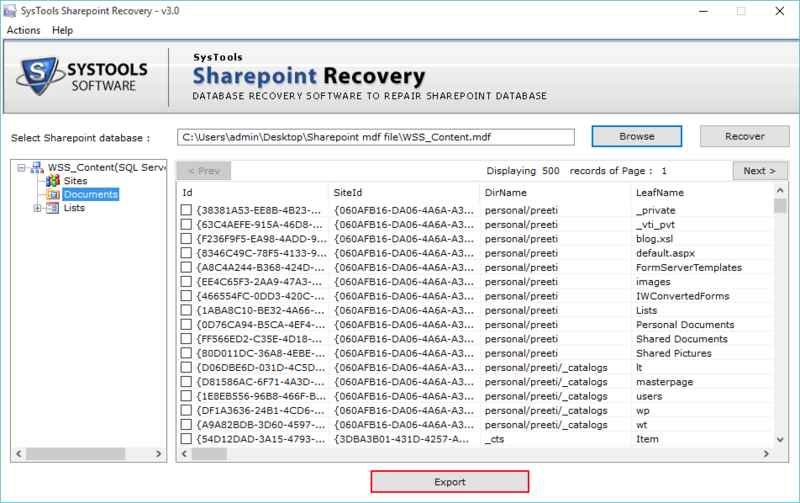 Export the Recovered Data to SharePoint Server. Facilitates the Easy Preview of SharePoint Server data prior to recovery. Extract SharePoint Documents separately from MDF database file. 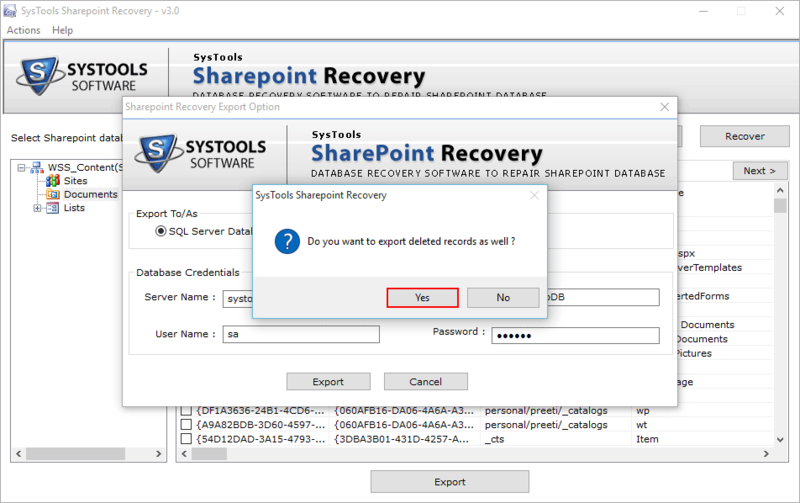 Instant Scan option For quick recovery of SharePoint server. SharePoint Server is not required to repair corrupt or inaccessible MDF database file. Compatible with the latest Windows Operating System i.e. Windows 10.1 and later versions. Support SharePoint recovery of Microsoft SharePoint Server 2013, 2010 and 2007. SQL Server database is being used by the SharePoint server to store the data of all sites collections, document libraries, and lists. If due to any issues like disk failure, index corruption etc. The database file of share point server gets damaged. As a result of which the SharePoint server data is lost. With the help of this software, you can easily fix up these issues and retrieve your data back. 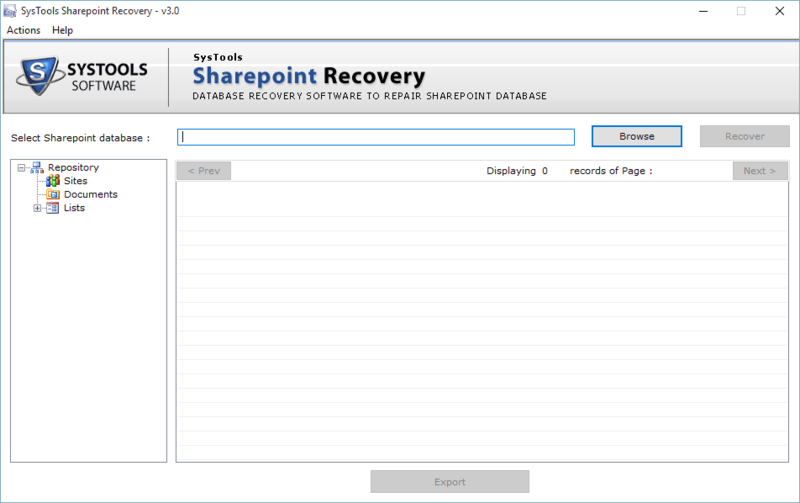 With the help of SharePoint Server Recovery Tool, you can recover the complete content of SharePoint databases such as collection of sites and other data such as blogs, wikis etc. You can also recover the database items such as triggers, functions, rules, alert etc. Conveniently from the SharePoint server database file. When the SharePoint Repair Tool completes the scanning process of the database then it shows the preview of all the recovered database items such as tables and the attached documents. It lists the data in tree like structure. The preview of data helps you to evaluate the efficacy of the software and allows you to verify your data prior to export. Save in SQL Server Database: - With the help user credentials, you can save the recovered data into SQL server. Extract SharePoint Documents: - When you this option, then software creates the new .mdf file to save the extracted data. After the completion of the export process, the SharePoint Repair Tool generates the export report of the process automatically. With the help of export report, you can easily analyze the details like Pages Read, Database Name, Database version, count of tables, views, stored procedures, rules triggers, functions etc. 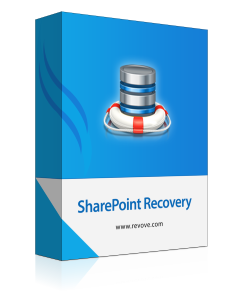 The SharePoint Server Recovery Software provides you the flexibility to export the selective folders. For this, you have to check or uncheck the desired folders for selective export. This way you can save your valuable time and minimize the data redundancy by saving only selected data rather than saving the irrelevant data. Demo version of SQL Database Recovery tool only preview the content. It does provides export facility. Is there any file limitation to use this software to repair corrupt SharePoint server database? No, there is no file size limitation to use the software for repair corrupt SharePoint server database. Does Live SharePoint Server Environment need for the recovery? No, The Live Exchange Server Environment is not needed for the recovery of corrupt mdf file. Can I able to view the content of MDF file after the scan process? Yes, The software will show the content of database after the successful scanning of the file. How can I locate the resultant file after the completion of the recovery process? The resultant file saved at the location provided by you before the export process. 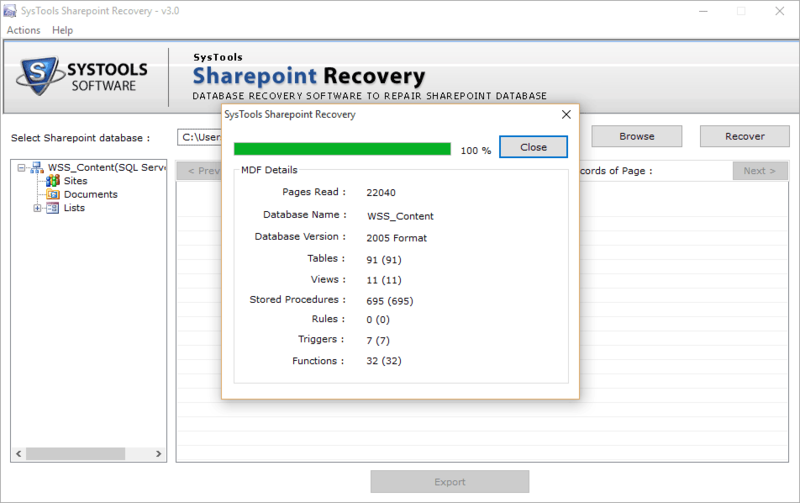 The Best SharePoint Database Recovery Tool to repair corrupt or damaged MDF file. This tool is fully packed with high-quality features to easily retrieve the information from corrupt or inaccessible mdf file. I downloaded the demo version of the software and test it with using the mdf file. I was so impressed that I bought the full version of the software immediately. Thanks for such a nice software. I would like to thanks, Thanks Revove for the SharePoint Repair Tool. I have used this tool to repair the corrupt mdf files. In quick time I repaired and restore about 500 GB of MDF file successfully. The approach follows by the software is so simple and unique. Being the user I would like to recommend this tool to you if you want to simply recover of data.